Spring has finally sprung here in Lakewood, Ohio and Keep Lakewood Beautiful is celebrating this time of year with its Annual Earth Day and a Great American Cleanup on April 25 from 9-11 a.m., all at the Detroit Ave. entrance to Kauffman Park. Give your spring cleaning a jumpstart by participating in all or any one of these great events! Batteries and Electronics Recycling Roundup - This one time only household recycling roundup near the Detroit Ave. entrance of Kauffman Park entrance will be an easy way to swing by and clear your home of special items you may have been wanting to get rid of responsibly by recycling them for free! We will be collecting computers, old phones, and any small electronics like vacuum cleaners, and small kitchen appliances and batteries any kind or size. Recycling items reduces landfill costs, helps conserve natural resources, and also saves tax dollars. Lakewood Business Area Sidewalk Clean-Up - Join in the business area Sidewalk Clean-Up! Come stroll the Lakewood business area sidewalks and help pick up litter in the nationwide Great American Cleanup. Supplies are provided to any individual or group who would like to participate. 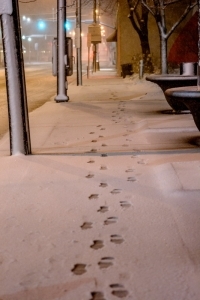 If you or a group are interested in participating in the sidewalk cleanup you can preregister at 529-6601. Free TREES! - After you have cleaned out your home of batteries and small electronics, spruce up your yard for free! We will be giving away free seedling trees that have been potted by Lakewood High School Horticulture students under the expertise of Mr. Mark Rathge. Keep Lakewood Beautiful purchases all the supplies needed for this annual hands on classroom experience where students learn how to and also do plant bare root tree seedlings. Thank you for your help! We have several varieties to choose from that will especially fit most Lakewood yards. Trees provide us with beauty and many benefits such as: help purify the air we breathe by absorbing pollutants and produce oxygen, increase property values, shade and cool our buildings and paved surfaces, reduce the amount of water and pollutants in sewer systems, provide habitat for birds and other wildlife, and foster safer, more sociable and attractive neighborhood environments. Come learn more about trees from some experts who will be present to guide us as we also celebrate Arbor Day and together plant multiple trees in Kauffman Park from 9-11 a.m. There are fun free activities for everyone to join in: Bring your old small electronics and batteries, participate in the Great American Cleanup of Detroit Ave, or help plant a tree all in Kauffman Park. Then take home a tree seedling for FREE for your yard, while supplies last! 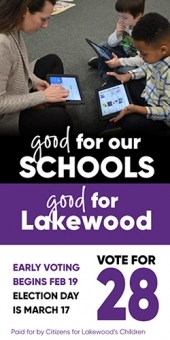 Please drop by on April 25th and help Keep Lakewood Beautiful! 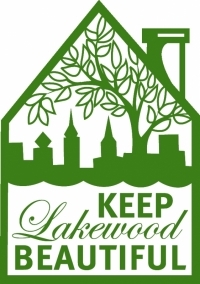 For more information on Keep Lakewood Beautiful visit http://www.onelakewood.com/KLB or call 529-6601. - former City of Lakewood Tree Task Force member.